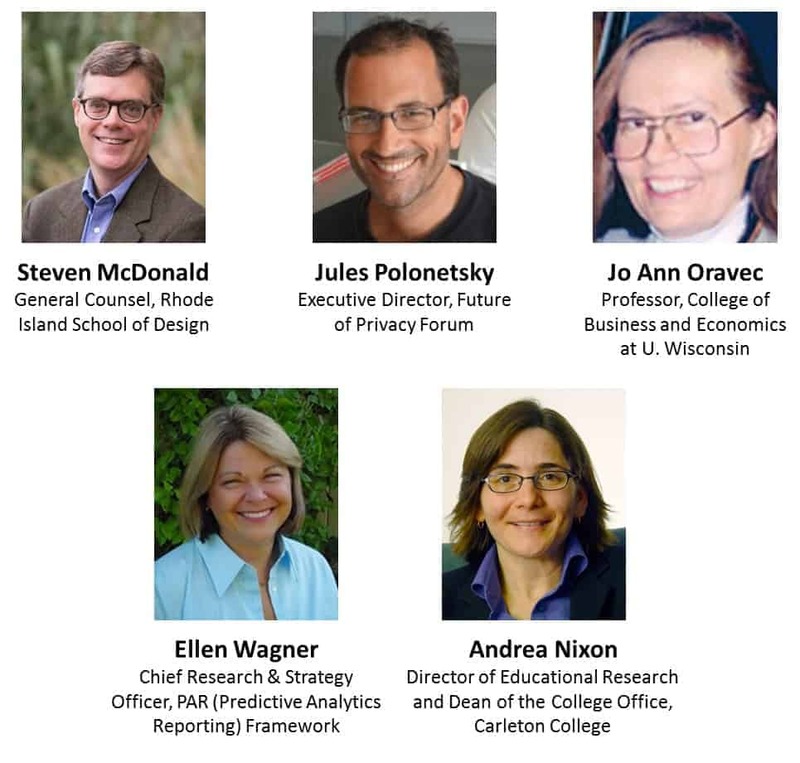 The fifth annual Higher Education Privacy Conference (HEPC) will be held on Tuesday, May 10, 2016 at the George Washington University Marvin Center in Washington, DC. The HEPC is one-day event that focuses on privacy and information management in higher education. The event consists of a combination of speakers and smaller breakout discussion groups to foster interactivity and engagement. Participants include higher education CIOs, security professionals, privacy professionals, compliance professionals, and general counsel. Also participating are key individuals from industry, law firms, associations, and government regulatory agencies. To register, click here or on the button below. To Reserve a Spot: If you want us to hold a spot for you while you get budget approval please send an email to hepconference@gmail.com with the subject “Reserve.” Include in the email your name, title, organization, and whether you also plan to attend the workshop. We will hold a spot for you. At a later date, you will still need to register and pay. Conference Fee Reductions and Waivers: The conference fee can be reduced or waived if you write to us and explain the reason you need a discount or waiver of the fee. We are eager to facilitate participation, and we understand that budgets can be limited. If you make a request, please indicate what your budget will afford on the conference and briefly explain the situation. Please opt to pay as much as your budget can afford, as we can support more participants at partial payment than at full fee waivers. Decisions regarding a discount or waiver will be made on a case-by-case basis. Factors will include not just your situation but also our own ability to manage costs and our available space. Cancellation Policy: If you want to cancel your registration, you may do so by writing to us. We will refund cancellations in full until 2 days prior to the event. If you are unable to attend, you may transfer your admission pass to another person. Questions: If you have any questions about the event, please email Daniel Solove. The HEPC is made possible through the generous support of our sponsors (listed toward the bottom of this page). We welcome sponsors and have a variety of sponsorship opportunities. Sponsorship is a terrific way to gain exposure to our participants. If you are interested in our sponsorship prospectus and/or discussing sponsorship, please email Daniel Solove. We don’t have an official conference hotel or room block, but there are many hotels nearby GW Law School. Here’s a list of nearby hotels. We recommend One Washington Circle Hotel, which is nearby and affiliated with George Washington University. Below is the agenda for the Higher Education Privacy Conference. All topics are still tentative, including the topic of the plenary session. Business intelligence, institutional research and data analytics are increasingly significant aspects of management and developmental growth of higher education institutions. The information gleamed from around the institution — colleges, departments, institutes and administrative units (e.g. admissions, registrar, health clinics, etc.) carries a full gamut of personal information about faculty, students and staff of the institution but often is utilized without established privacy practices or the benefit of institutional policies on the use, sale or manipulation of that data. With leaders from this area, this session will discuss the information management of such data with attention to robust institutional policy, sound privacy practices and technical security controls. In this breakout discussion, we will discuss the issues raised in the plenary session. In this breakout discussion session, we will examine the special challenges of protecting the security of data in the higher education environment. How should the various laws and regulatory regimes be complied with? What is the appropriate level of information sharing to further security goals? To what extent are privacy and security in congruence or tension? What measures should be undertaken to prepare for a privacy/security incident? In this breakout discussion session, we will examine relationships with Cloud and third party vendors. What are the most important measures that should be taken to ensure adequate privacy/security protections in these business negotiations and contract formation with cloud providers? What level of vendor oversight is the government looking for, what level is best practice, and how does an institution focus limited resources to best reduce risk in this area? Thank you to our sponsors, who have made this conference possible. If you are interested in sponsoring this event, please contact Daniel Solove.